In today’s media environment, being alone feels like a problem that needs to be solved. Mobile devices and social media platforms keep us ever-connected, and yet connection is abstracted by the mediation of technology. The result is the “illusion of companionship without the demands of friendship” where we need never be alone, and yet we habitually fall short of the intimacy of togetherness. There is a mutually constitutive relationship between intimacy and solitude that social media impedes as we no longer have to master seclusion and the self-reflexivity it deploys. In Deep Solitude Grace Kingston dwells on the unfamiliar feeling of being alone. 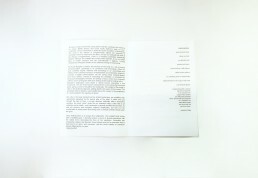 Previously Kingston’s practice has focused on the body as a site of textual self-presentation, specifically in it’s connection with technology. Often her work combines organic materials with technology in an assemblage that reflects on the continued relevance of embodiment and materiality, despite it’s omission in digital communication. On the surface Deep Solitude departs from these themes. Instead of technology the exhibition is dominated by landscape photography. However, the change of focus arrives as a conscious reflexive move as Kingston Shifts from looking at the body to looking with it. Kinston’s landscapes each depict a distant horizon preceding a vast foreground. The use of the horizon commands the scene along the horizontal plane, giving a sense of breadth to the landscape. The subject of the image is often in the distant background, adding depth to the span of the scenery. The combined effect of distance and breadth places the viewer in the perspective of a body isolated in the expanse of space. Not only is the body isolated but the distant landscapes are modified, their authenticity disrupted by the textual play of the artist. A black line cuts through the tops of trees, a circular absence artificially edits a decorative meadow, the word “solus” floats like an animation atop a lake that is all reflection and no depth – each landscape is playfully modified by the artist. As with her previous work Kinston explores modification, but now it is the modification of seeing rather than being seen as textual symbols intrude upon the gaze. Deep Solitude asks us to occupy this subjectivity – the isolated body seeing with a modified gaze. It thereby evokes a sense of shared experience with the naked forms decorating the floor of the exhibition. Venerable and ornamental, organic and affected, Deep Solitude asks us to remember what it feels like to be alone, with ourselves, with the world outside us somehow always distanced by our gaze.